BullionByPost is a Royal Mint Authorised Distributor. We sell thousands of British gold and silver bullion coins every month direct to private investors of all types. As the UK's No.1 online bullion dealer, we sell Royal Mint bullion coins at very low margins above the spot price and offer free fully insured next day delivery on all orders. We stock brand new bullion 2019 sovereign coins at low margins ideal for investment. The new 2019 sovereigns are 22 carat gold and sport the traditional St George and the Dragon design. A Sovereign weighs 7.98 grams and contains exactly 7.3224 grams of pure 24ct gold. In addition to new sovereigns, we also offer mixed year bullion sovereigns which represent better value for money. Due to their relatively small size, gold sovereigns offer investors great flexibility and are one of the most recognisable bullion coins in the world. Discounts are available based on quantity. We stock gold and silver Britannia coins at low premiums making them ideal for investment. The 1oz gold Britannia coin is 24 carat purity and contains exactly 31.10348 grams of pure gold - one troy ounce. This is a new coin specification in place since the 2013 gold Britannia, while all older versions of the coin were 22 carat. Gold Britannia coins represent better value for money than sovereigns due to their larger size and offer investors a good balance between value and flexibility. Discounts are available based on quantity. Silver Britannia coins are pure 999 silver and contain exactly 31.10348 grams of fine silver. The 1oz silver Britannia offers investors great flexibility and is often purchased in addition to gold bullion as part of a well-balanced investment portfolio. Discounts are available based on volume. We also sell the new, limited edition 2019 Oriental Border gold and silver Britannias. Based on the Chinese rooms at Buckingham Palace and the Royal Pavilion in Brighton, these coins have been released as special commemoration of the Royal Mint's new business venture in south-east Asia. The first edition was released in 2018, and the success of the range has seen the Mint release a new, alternative design for 2019. Only 5,000 gold coins and 100,000 silver coins have been minted for the Oriental Border series, so make sure to get yours while stock lasts! Gold Coins or Bars: which is the better buy? 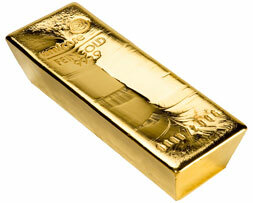 Gold bars are cheaper to buy as they are cheaper to make, simply put. Gold coins must undergo a much more lengthy and intricate manufacturing process. In contrast, bars are manufactured as cost effectively as possible with less time and expense taken up on elements such as design which add no extra value to the coin. With this in mind, gold bars are a better way to invest in gold for the majority of investors. of sizes from 1g up to 1kg. For most investors, our bestselling 1oz gold bars and 100g goldbars would be the best options offering the perfect balance between value and flexibility. Umicore, PAMP, Metalor, and Heraeus. All our bars are available with free fully insured next working day delivery.